Less than an hour into Monday's practice, Sam Schmidt Motorsports driver James Hinchcliffe made hard contact in the exit of Turn 3. Something clearly broke on the No. 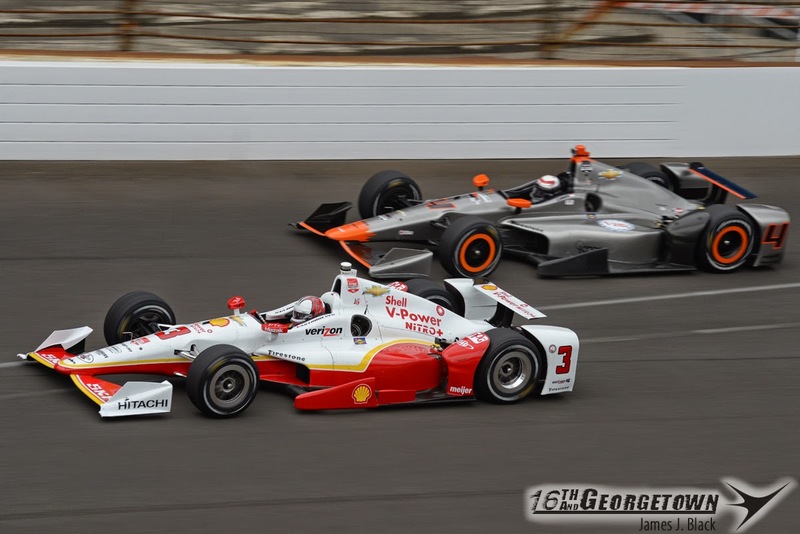 5, sending Hinchcliffe hard into the tapered off portion of the SAFER Barrier. He slid sideways down the short chute, the left side of the Honda Dallara lifted and came immediately back down. The car continued the slide up into the Turn 4 racing groove. James was extracted by medical personnel and was transported to an ambulance on a backboard. Hinchcliffe was awake and alert and has been transported to Methodist Hospital. The track has been cleared, but activity is on hold while the incident is being investigated. 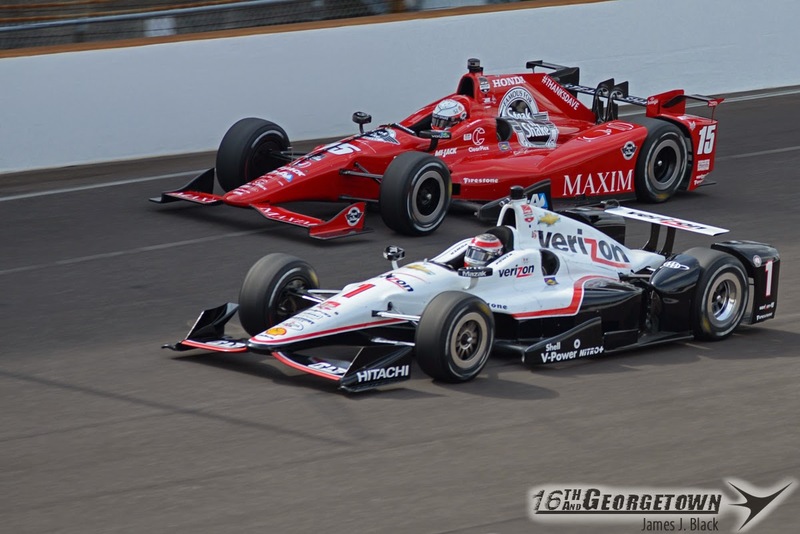 2:25 UPDATE: The Verizon IndyCar Series practice has been checkered. 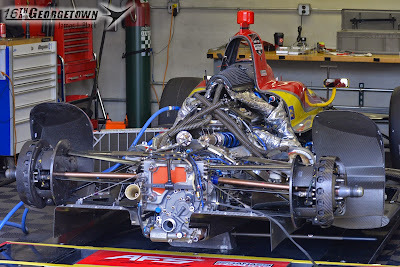 The Indy Lights practice session has been moved up, they'll now run 3:15-5:15. 3:40 UPDATE: Indy Lights practice has ended early to resume Verizon IndyCar Series practice at 4:15. It's a scheduled 45 minutes session. 3:55 UPDATE: Following the 4:15-5:00 IndyCar practice, Indy Lights will return to the track for a 45 minute session starting at 5:15. 4:00 UPDATE: INDYCAR released a medical update on Hinchcliffe. He's in stable condition and is having surgery to his left thigh. 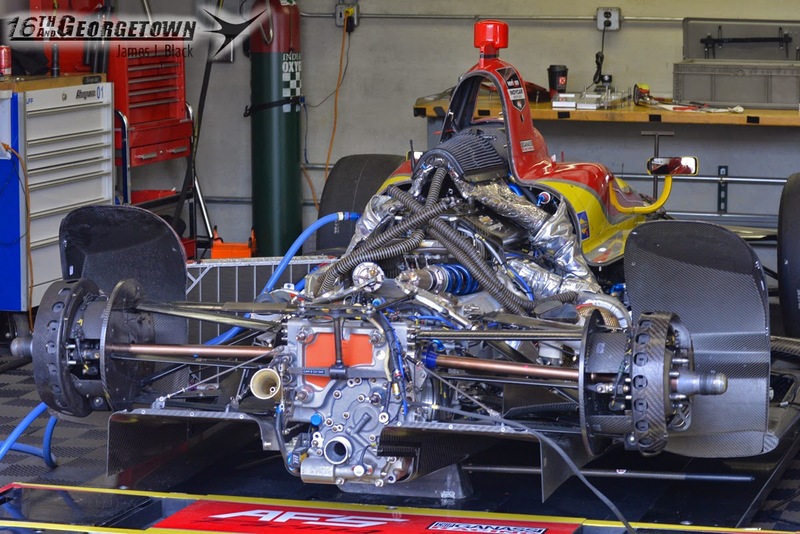 4:12 UPDATE: It's believed a right front suspension failure was the cause to Hinchcliffe's incident. 4:37 UPDATE: It's believed Katherine Legge is a leading candidate for the No. 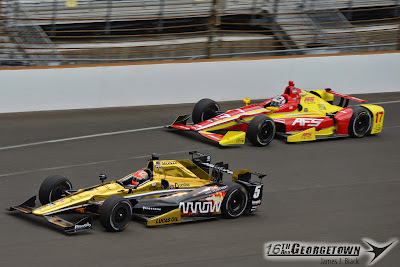 5 Schmidt Peterson Motorsports car at Indianapolis if James Hinchcliffe is unable to drive. Legge drove for the team at Indianapolis in 2013. 4:58 UPDATE: INDYCAR has extended the session until 6pm. 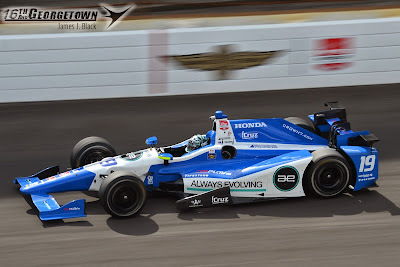 8:20 UPDATE: Hinchcliffe has finished surgery and has been transferred to the Intensive Care Unit and remains in stable condition at Methodist Hospital. "Obviously we're relieved that James is awake and out of surgery," said Schmidt Peterson Motorsports team owner Sam Schmidt. "That's the most important thing on our minds right now and we will do absolutely everything required to ensure a complete recovery." 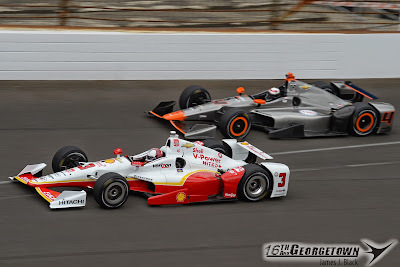 5/19 2:55 UPDATE: Hinchcliffe is still under evaluation in the ICU at Methodist Hospital for injuries to his pelvic and upper left thigh area. "Words can't describe how thankful I am to the Holmatro Safety Team," Hinchcliffe said. "Those guys, in addition to the doctors and staff at the hospital, are my heroes. I can't say enough how much I appreciate the outpouring of support from INDYCAR fans, my family and fellow drivers. We are all one big family and it feels like that today." 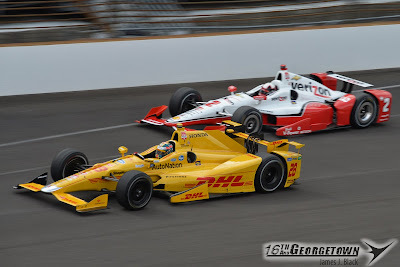 According to the update, Hinchcliffe has been "ruled out of Verizon IndyCar Series competition for the foreseeable future". "He's stable and improving," said Dr. Timothy Pohlman, Senior Staff Trauma Surgeon at IU Health Methodist Hospital. 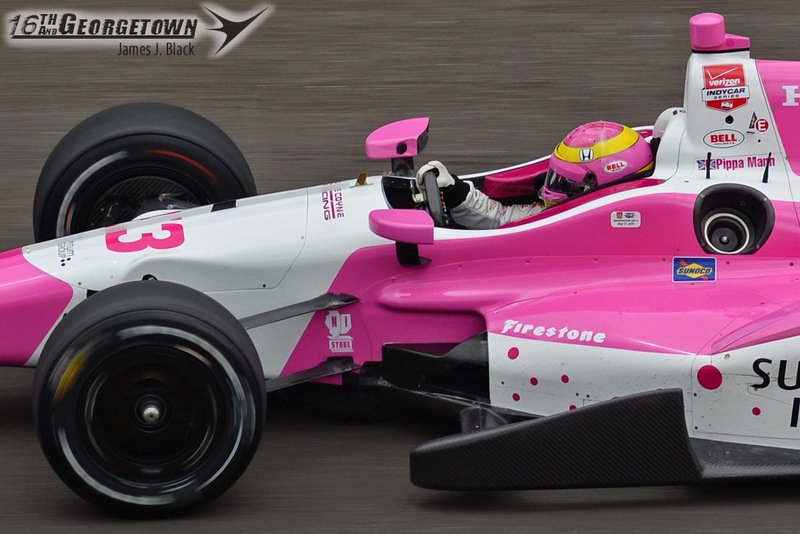 "His condition was critical upon his arrival and I think the INDYCAR system as a whole needs to be commended for how well they can take care of drivers in this situation." 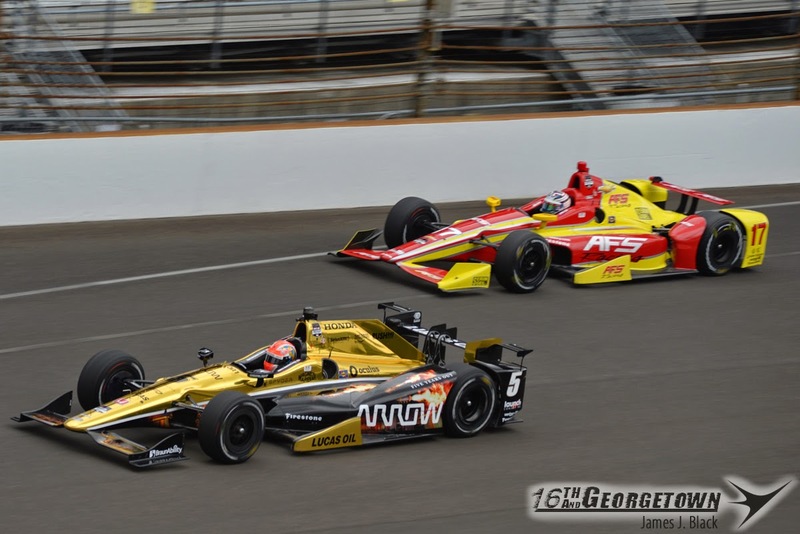 5/21 UPDATE: According to doctors, Hinchcliffe will not need more procedures and is expected to make a full recovery. He has been moved out of ICU. 5/22 UPDATE: Hinch has been up and walking and is expected to be released from the hospital Saturday. A.J. Foyt Racing's Jack Hawksworth slowed to a stop on the north end of the track during the late session. Smoke was flowing from is No. 41 Honda, and is a victim of what appeared to be an engine failure. 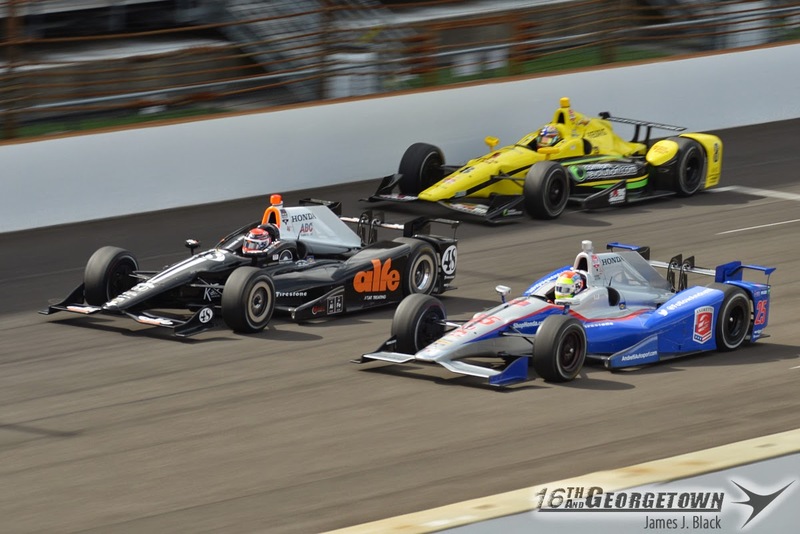 INDYCAR's activity came to an end at 6pm when the checkered fell on another eventful day at the Indianapolis Motor Speedway.